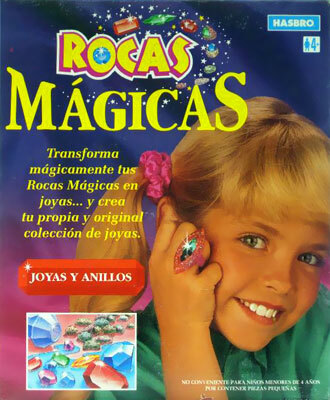 "You magically turn rocks to jewels... and then make your own jewellery!" 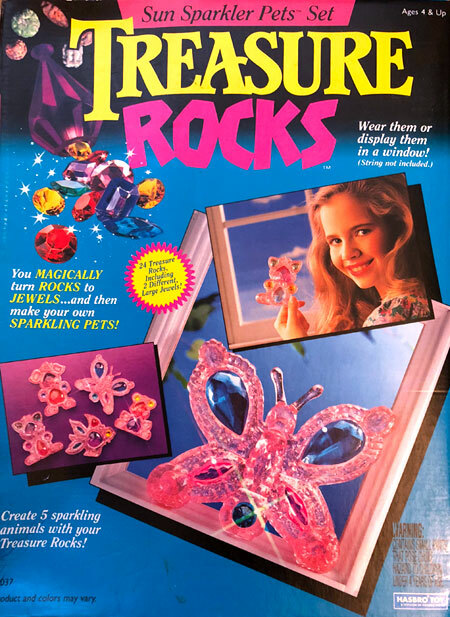 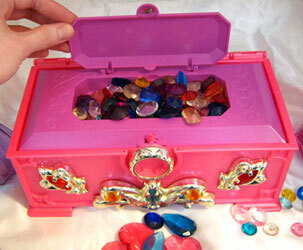 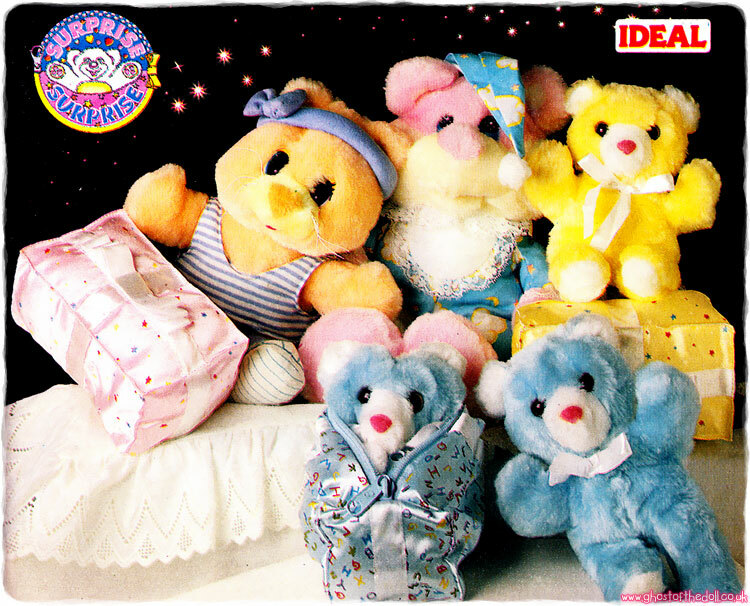 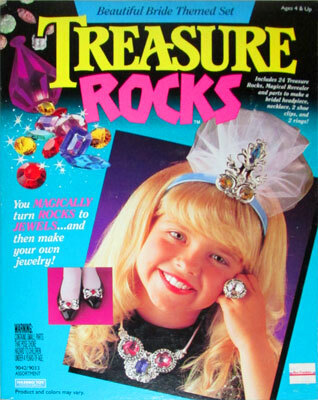 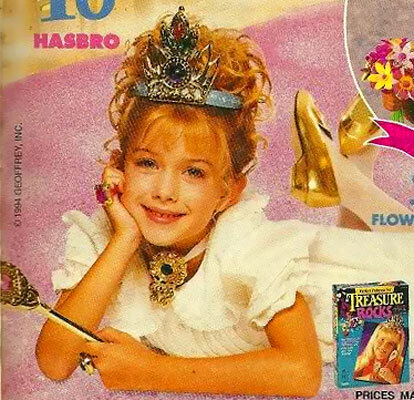 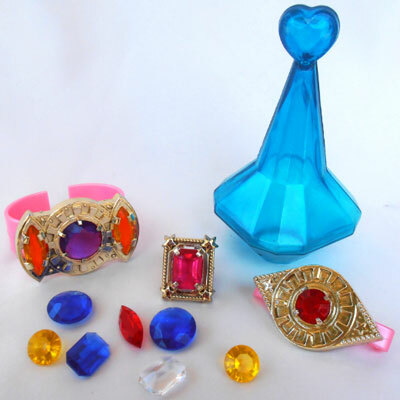 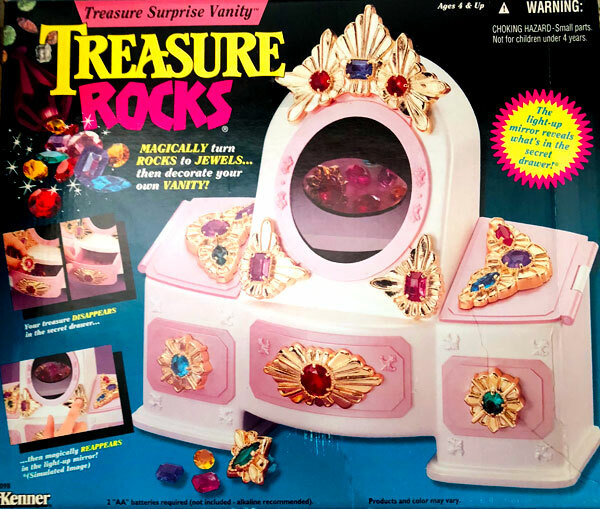 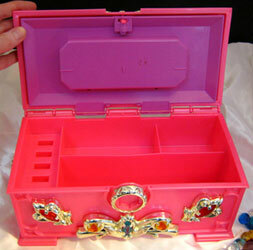 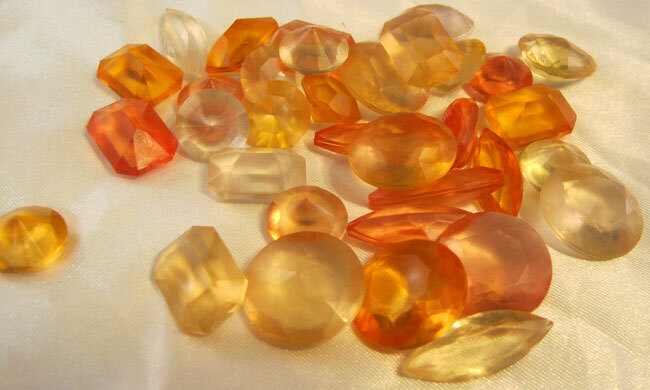 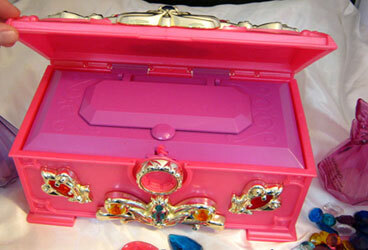 Treasure Rocks were produced by Hasbro in 1993-95. 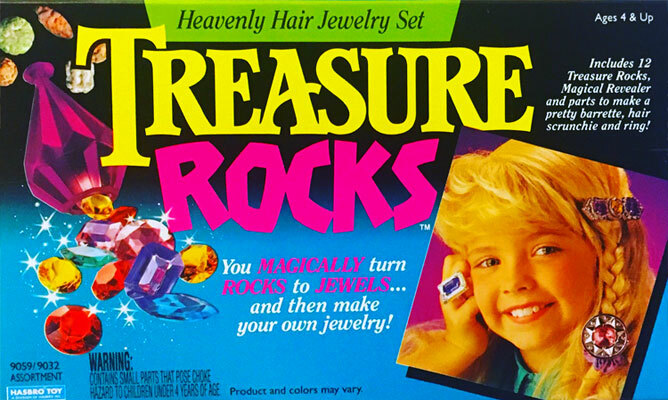 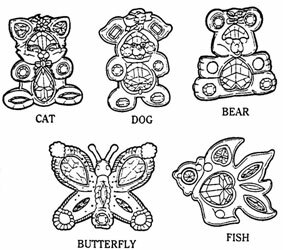 They were various sets of jewellery which featured "magic" rocks, which when place in water would dissolve to reveal beautiful gems! 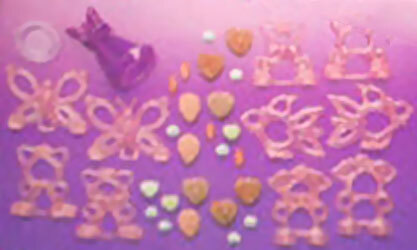 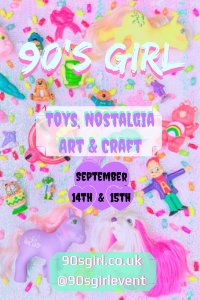 Images on this page thanks to Annee, cupcakedoll, nostalgiadream, Graciela and various eBay seller! 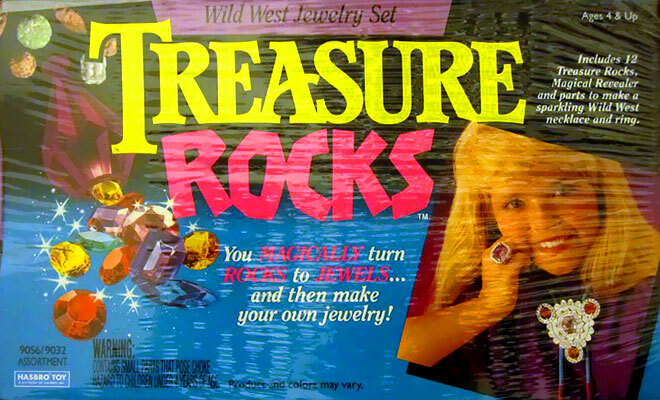 View all Treasure Rocks on eBay.com or eBay.co.uk ! 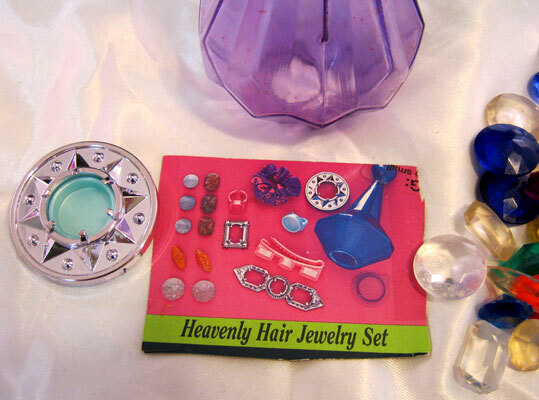 There were nine sets produced in 1993 that I know of. 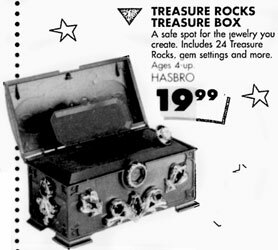 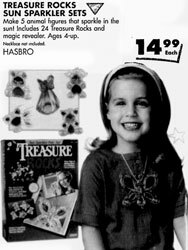 The Rocks and Rings set was the only one to be sold without the "magical revealer" bottle, and it wasn't show on the back of the other boxes. 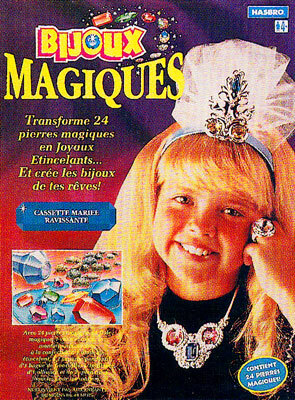 There was also a Sun Magic version of this set. 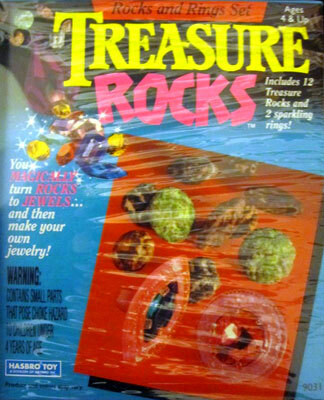 The Rocks and Rings set came with 12 Treasure Rocks and 2 Rings, but no bottle. 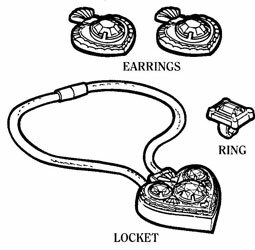 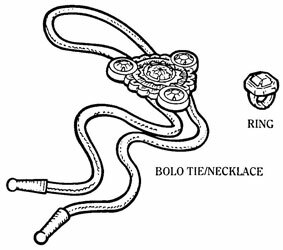 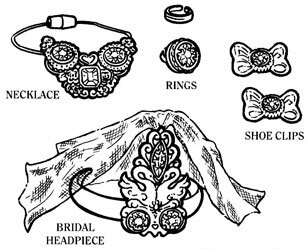 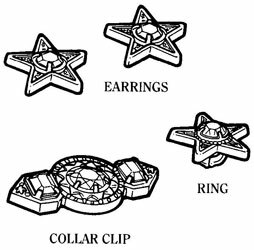 I've not found any images of this set, other than the instruction illustration. 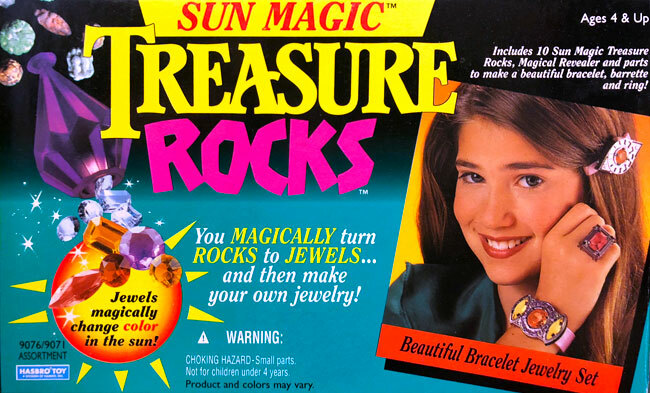 "Jewels magically change colour in the sun!" 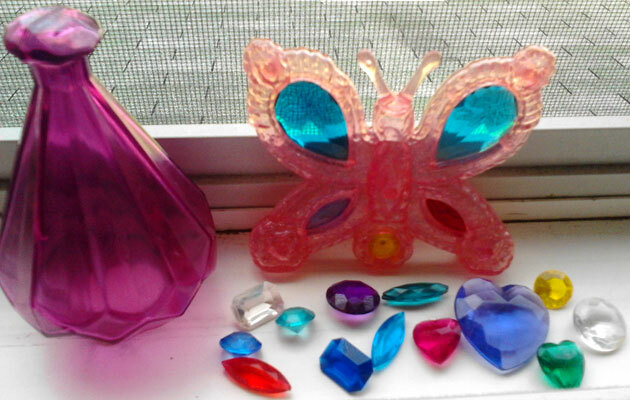 These sets came with gems which quickly changed colour in the sun, then faded back when bought back indoors. 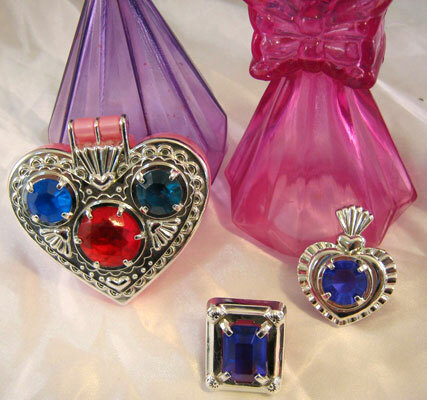 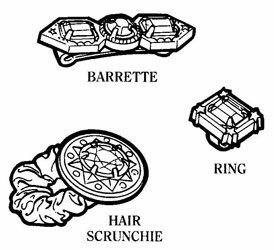 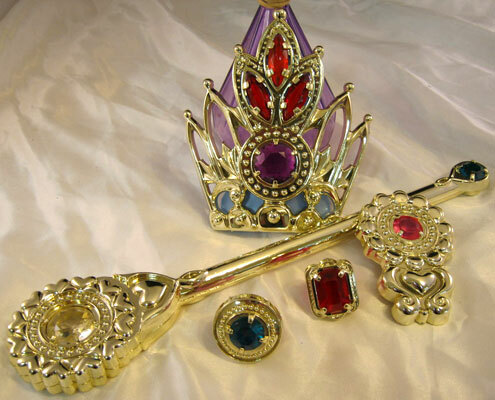 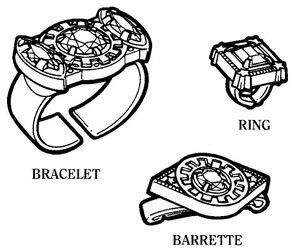 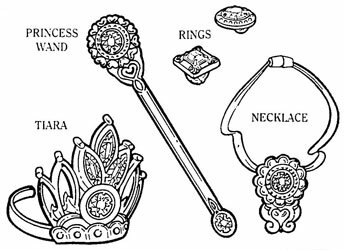 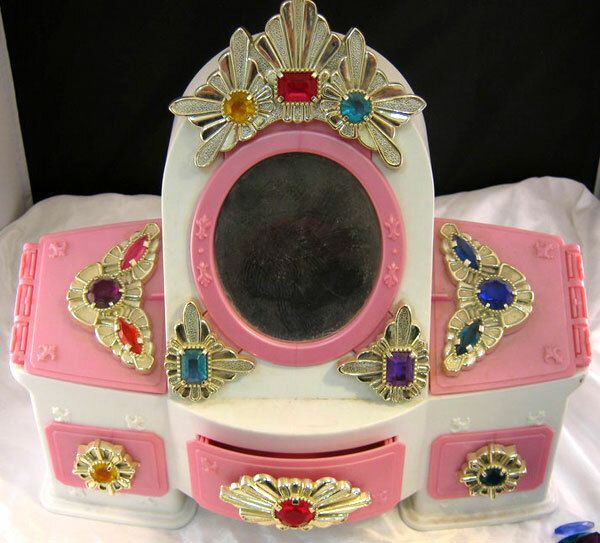 I don't know how many of the original sets were produced like this (or if there were new sets added), but know that at least Beautiful Bracelet and Lovely Locket were. 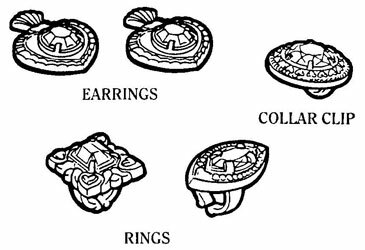 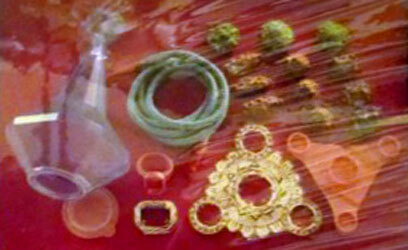 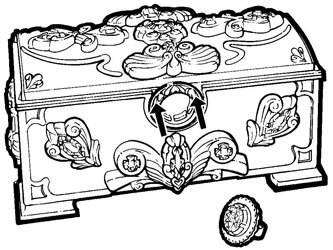 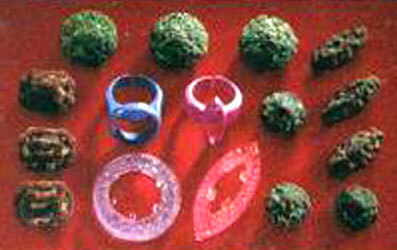 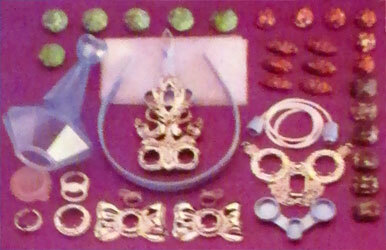 The jewellery pieces were the same, but came with 10 rocks each rather than 12. 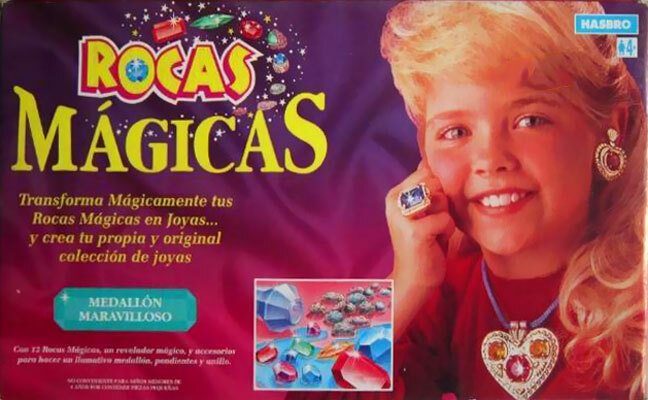 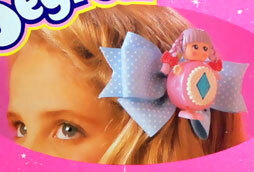 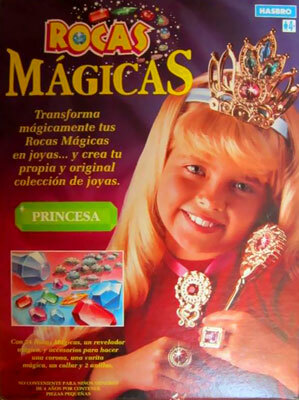 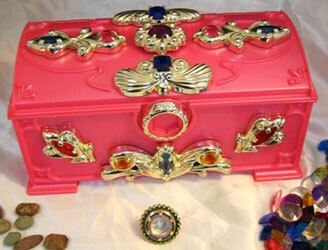 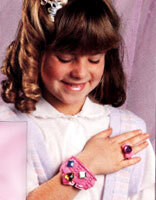 "Magically turns rocks to jewels... then decorate your vaanity!" 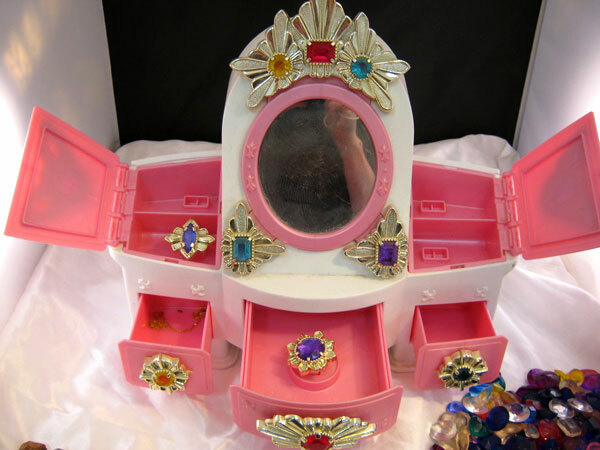 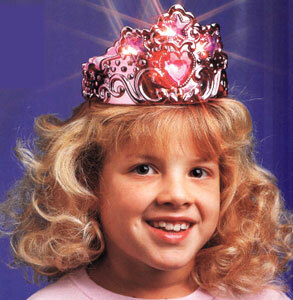 ...then magically reappears in the light-up mirror!